Prior to becoming a television critic and owner of TV, Eh?, Greg David was a critic for TV Guide Canada, the country's most trusted source for TV news. He has interviewed television actors, actresses and behind-the-scenes folks from hundreds of television series from Canada, the U.S. and internationally. He is a podcaster, public speaker, weekly radio guest and educator, and past member of the Television Critics Association. 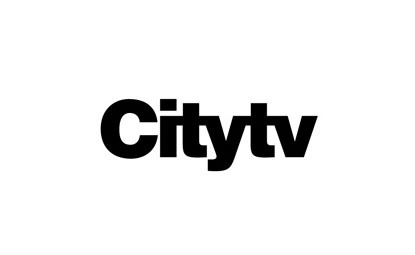 Heading into another stellar season on City, the network announced today its fall 2014 premiere dates for four new and 16 returning hit series, and two nights of NHL action. As the destination for the most buzzed-about comedies and reality shows, daring dramas, and live events, plus new NHL game coverage this season, City delivers the most diverse schedule of fresh new series and proven fan favourites this fall, beginning Sunday, Sept. 7. Utopia kicks off City’s fall schedule on Sunday, Sept. 7 with a special two-hour episode, the first of a three-night series premiere. From unscripted mastermind John de Mol (The Voice), and based on the hit Dutch television series of the same name, comes television’s biggest social experiment to date. For one full year, 15 pioneering individuals leave their everyday lives and move to an isolated, undeveloped location where they are challenged to create their own civilization from scratch. Tackle My Reno kicks off an impressive fall lineup on HGTV Canada with back-to-back episodes beginning August 26th at 10pm ET/PT. In this new series, HGTV Canada’s rising star Sebastian Clovis rescues homeowners struggling with DIY projects to make their homes the highlight of the neighbourhood. In each episode he delivers the perseverance and positive energy that make him a pro from football field to construction site. Sebastian started his building career at the age of 15 helping out in his family home. Soon afterwards his passion and skill for football took hold, and brought him all the way to a Grey Cup win with the BC Lions. After retirement in 2008, he returned to the job that allows him to bring his physical and creative A-game every day: construction and design. He treats every reno like a championship game and plays hard with the homeowners that need his help. Pat is fed up with her husband’s never ending basement renovation. Sebastian Clovis steps on the field to take perpetual procrastinator Ben under his wing to help him complete his family room and bathroom. Kristine wants to demo her kitchen, but her husband Sam is all about the short term fixes. With a baby on the way, Kristine needs DIYer Extraordinaire Sebastian Clovis to give Sam the confidence he needs to renovate before they become a family of three. 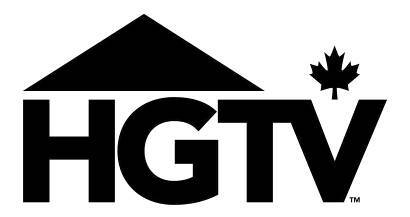 For exclusive webisodes, photo galleries, behind the scenes access, and to watch full episodes after they air, visit www.hgtv.ca. Swarek and Andy’s little back and forth over takeout coffee outside of Ted’s house was cute as all get-out. I’ve wanted them to be a couple since I saw them in the pilot episode, so to see them in the “honeymoon phase” was awesome. Of course, it couldn’t continue. This was, after all, the season finale of Rookie Blue, meaning something bad had to happen. And it did, thanks to car bomber Ted McDonald, played with aplomb by Shawn Doyle. (I’m still pissed off that Doyle’s last series, Endgame, was cancelled.) Doyle’s portrayal of Ted–a man who lost his young son in a diner bombing four years prior–was notable not just because he played a disturbed man with such conviction (“Put your hands in the air like you just don’t care! !”), but that he made me care about him because he’d lost his son on the boy’s birthday, the first unsupervised visit the pair had. And while I was happy to see Shaw back out on the road with Andy, it was his insistence that he remain on the beat after dropping Ted off at the precinct that put her in mortal danger. Swarek’s interrogation of Ted revealed the disturbed man wasn’t done yet, and his query about whether his computers and hard drives were in the precinct made my heart sink. “There are bombs in the computers!” I immediately realized. And so there were, at least one detonating while Andy was in the evidence locker retrieving them. The explosion occurred with over 10 minutes still left in the episode, enough time to spotlight the after effects of the blast: Andy was bent over, so she was spared with just a few scratches and blown-out eardrums. It was the perfect opportunity for Swarek to show just how he felt about Andy in his own special way (Quote of the night: “I got smoke in my eye!”). As for McDonald, he cut his own wrists with a razor blade in the interrogation room, exiting Stage Right without offering any closure for Swarek. Problem was, it looked like Diaz had neglected to frisk McDonald well enough to discover it. Either that, or the police are as corrupt as the bomber inferred and someone murdered him. Meanwhile, Gail and Holly dropped bombs on each other; the former wants to adopt while the latter is leaving for a job in San Francisco in two weeks, throwing their relationship into question. At the other end of the scale were Traci and Nick, respectively, seem destined for blossoming relationships for Season 6. But the biggest explosion of the episode came in the closing seconds: while Swarek and Andy smooched in bed Dov was discovering that Marlo is pregnant … with Swarek’s baby? Before I get into the review for Monday’s latest episode of The Amazing Race, I need to make a quick apology to Insight, the show’s producers. When the Racers left Canada for China two weeks ago, I scoffed that they never should have gone international, stupidly assuming they wouldn’t return to their home and native land. So, sorry for whining (mostly to myself) prematurely because return to Canada the show did. Monday saw the teams jet to the Yukon, something that involved a flight across the International Date Line turning today into yesterday (“the past, man!” I imagined amiable stoners Mickey and Pete enthusing to each other) and an overall focus on one goal: unseating Olympic hockey champs Natalie and Meaghan as first-place finishers on the mat at the end of the Leg. This week was the first one that I saw teams shed some of that Canadian niceness that seems to plague us wherever we go. Everyone was gunning for Natalie and Meaghan, especially after they surrendered the Express Pass to brothers Pierre and Michel. Rex may have sniffed the air and commented that it was the wrong move, but I understood the girls’ decision. They may view the Quebecers as a threat in the game–and they most certainly are–but the gals also see them as competitors who should be rewarded for playing hard, a mantra these athletes live every day. Speaking of Rex, can I say how giddy I am that he and Bob are on The Amazing Race? The longtime couple deliver great TV, whether they were getting catty over the fact siblings Sukhi and Jinder had been saved by last week’s non-elimination Leg or sniping (endlessly) at each other over, well, everything. Their countless attempts to re-create that Yukon camping setting had me giggling, especially when Rex threatened to scream if they hadn’t gotten it right after several tries. Sukhi and Jinder rank No. 2 behind Rex and Bob simply because they don’t know anything about anything. Don’t know how to put a leash on a sled dog? Ask another team. Don’t know which way is upriver? Make sure you paddle the wrong way until the current drives you in the right direction. Meanwhile, mother and son duo Nicole and Cormac haven’t asked for help from anyone. The pair, who were eliminated on Monday, have showed fierce support for each other from the moment Jon Montgomery yelled “Go!” at the beginning of the season and haven’t wavered. If there was a time Cormac could have turned on his mom it was last night, when it took her over 20 tries to complete the biathlon challenge. Instead, he urged her on with compliments and enthusiasm especially when she broke down in tears. Kudos to Nicole for living up to the “never give up” attitude her own mother instilled in her. Because she took so long nailing those rifle targets, Nicole and Cormac could only hope there was another non-elimination Leg in the cards. Sadly, it wasn’t meant to be and the last-place finishers were eliminated from the competition. The Amazing Race Canada airs Mondays at 9 p. m. ET on CTV. Shaun Majumder is, literally, stuck between a rock and a hard place. Among the hardest rock in the world, actually. The actor, writer and standup comedian had a dream for his hometown, the village of Burlington on Newfoundland’s west coast: draw tourism to the area in an effort to improve the local economy. The plight of Majumder, wife Shelby Fenner and best friend/architect/producer Peter Blackie was well-documented in the first season of Majumder Manor, as the hometown boy made good attempted to get the locals excited about their ambitious plan to construct a five-star eco-friendly lodge that would draw people from around the world. Back for Season 2–airing Mondays on W Network–the trio have changed things up, but their challenge is no less daunting. Majumder purchased another chunk of land right on the waterfront (the first property was right next to a busy road), affording gorgeous views of the small bay and the good chance of seeing an iceberg or two float by. The official title to Season 2 is The Rocky Road to Majumder Manor, and it’s well-suited. Majumder and Fenner were married in Los Angeles in their kitchen, but decided to re-do their vows in Burlington surrounded by friends and family on their new tract of land. The big problem? Nowhere for anyone to stay. With the celebration looming, deadlines to break ground on the new plan–several square pod living areas–were bumped up, putting pressure on everyone to get rolling. Fenner spent much of Season 1 wondering what the heck she had gotten herself into, but is more confident in this iteration of the project. As with any building project, challenges stack up. A Come Home reunion for former Burlington townsfolk meant Shaun had to quickly construct tents on wooden bases for visitors to stay in. Those proved to be tough to make on ground wobbly as a St. John’s bar patron hopped up on Screech. Majumder’s purchase of an old store led to the discovery of a boat partially crashed through the wooden floor and half a day was spent pulling it out. Fenner wanted to cut costs on booze by making her own beer. And weather was a constant concern; Newfoundland’s placement in the Atlantic means sun can turn to rain–or snow–within minutes, something the team ran into during construction. But perhaps the biggest test on Majumder’s wallet, and patience, is the very ground he so passionately wants to share with the rest of the world. Burlington sits on a section of rock that is among the hardest in the world, meaning sinking reinforcing bar into it to hold the pods in place is a long, arduous task in a such a rugged setting. “All of Newfoundland and Labrador are rock,” Blackie says. “Burlington is on rock known as Burlington granite and it just happens to be the hardest rock on the island. And the site we’re on isn’t just rocks, it IS rock.” That meant drilling, sinking rebar, epoxying those in place and then pouring concrete around them. Oh, and did they mention there’s no road to truck the concrete in? Instead, the heavy material is slogged in on foot in buckets. Majumder Manor airs Mondays at 10 p.m. and 10:30 p.m. ET on W Network.